Being on the heels of winter and not having reached Spring yet, we are in the midst of an annual weather trend happening which involves alot of grey and cold rain. It isn’t bad – it clears up the sad snow chunks, it washes our salty dirty cars, and it mushys (yes I made that word up) the leaves in our garden so when the eventual sun hits, we can turn them into the dirt and create more yummy soil for gardening. But all this grey and cold rain can affect our mood. So how do we chase the blues away? When this new body of ceramic jewellery came across my desk last week I was immediately transported to someplace warm wear I could sport my crisp clean whites with this awesome Tahiti ocean blue jewellery whilst listening to the waves crash, eating some BBQed fish on the beach and drinking something cold with my someone hot. I was immediately shaken from the Canadian greys of March. And it was so needed. 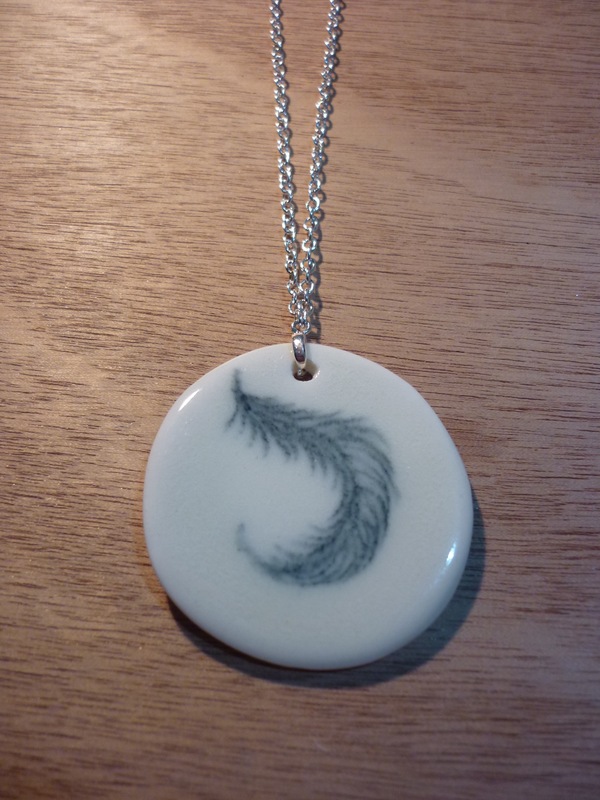 Karolina-Anna Ceramics is a glazed ceramic jewellery line by Karolina-Anna Hajna. 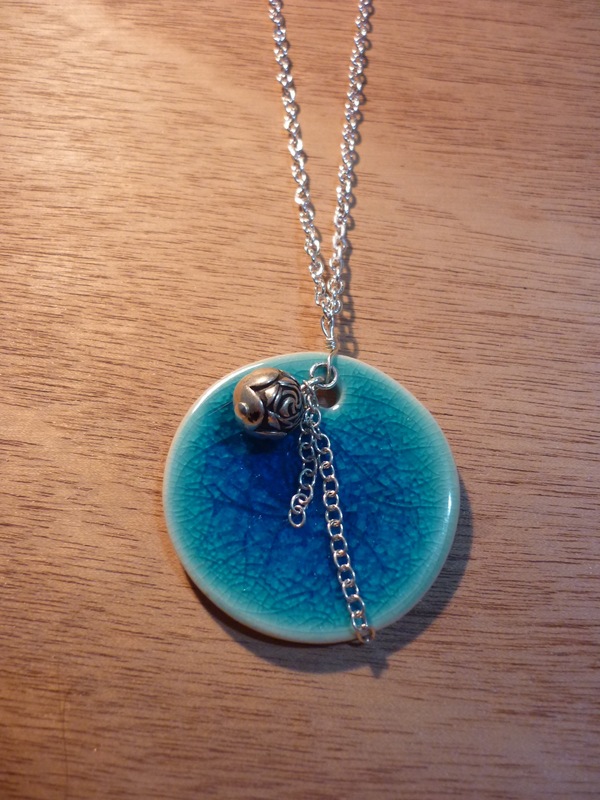 With additions of chain, buttons, double glazes, and crackling, these pieces are truely one of a kind and unique while remaining easy to wear and simple necklaces to bring a little summer punch to almost any outfit. If you need to chase the blues away, I invite you to come into Love, Me to visit. We have new shiny happy goods arriving all the time. Escape with me…. These are lovely. I really like the bottom details. Perfect accessories to wear whilst we wait for Spring!